Speaking to FDE at the recent Paris Motor Show, Johan Verbois, head of fleet and network at Toyota Motor Europe, discussed the company's rapidly expanding range of hybrid vehicles and the exciting future of green motoring. Toyota has sold more than 4.5 million hybrids worldwide. That's pretty impressive. Johan Verbois: Yes, we can say we are leading the democratisation of hybrids. It has become mainstream for us. World cumulative sales of Toyota and [sister brand] Lexus full hybrids total around 4.5 million. This is equivalent to a pace of 100,000 a month and close to one million hybrids a year. More than 460,000 hybrids have been sold so far in Europe, of which 260,000 were Prius models. And importantly, most of the full hybrid cars we sell in Europe are also produced in Europe. Do you also see this growing interest in hybrids in company fleets? 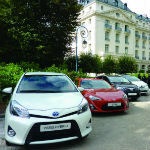 Yes, in 2011 around 50% of total Toyota and Lexus hybrid sales were sold through the fleet channel in Europe. What are the main reasons why fleet decision-makers are choosing hybrids? The time of including some hybrid vehicles in a company fleet because of the positive green image is behind us. Nowadays it goes a lot further. Companies that demand verifiable compliance with set sustainability criteria can put measurable emissions reductions from fleet activities towards these goals. Hybrid vehicles are, of course, known for their low CO2 emissions, and negligible NOx and particulate emissions. The financial argument must, of course, make business sense too. In our experience, increasing numbers of fleet customers are becoming convinced of the competitive total cost of ownership of Toyota and Lexus hybrid vehicles. That's largely thanks to our strong residual values, low fuel consumption, competitive maintenance costs and low breakdown claims. Companies especially appreciate the full range of hybrids that Toyota and Lexus can offer as it gives them the opportunity to meet a broad range of personnel requirements - from compact cars like the Yaris Hybrid through to executive vehicles like the GS and RX. So how many hybrids do you have now? Toyota and Lexus hybrids are available in the most important market segments including D (Prius, Prius+, Prius Plug-in), C (Auris Hybrid) and B (Yaris Hybrid). So today, we have five Toyota and five Lexus hybrids in portfolio in Europe, the most of any carmaker. Globally, we will gradually introduce hybrid models in all vehicle series of the line-up as early as possible in the 2020s. The market for electric vehicles (EVs) is still characterised by uncertainty. We have seen that customers are not yet willing to compromise on range and they don't like the time needed to recharge the batteries. So, even if we are ready with our production version of the iQ EV, we think a plug-in hybrid solution offers a better way than pure electric. We have created an efficient solution for people who want a longer driving range but still want to drive in pure EV when commuting: it's the Prius Plug-in Hybrid, a car that offers the best of both worlds. It delivers the 25km of pure electric driving needed for 70% of Europe's daily journeys and has the back-up of an efficient hybrid system to deliver a range of over 1,200km. There was a fuel cell concept car at the Toyota stand. Does this mean you are planning to launch one in the coming years? Yes we are. The hybrid technology is also at the heart of our vision for fuel cell vehicles. The main challenge is infrastructure. We believe we can unlock volume and bring system cost down, but only when sufficient refuelling networks are in place. This will happen, so in 2013 we will increase prototype testing in the US, Japan and here in Europe. And we remain on-track to begin selling our first fuel cell vehicle by 2015. It will emit no harmful emissions at all and will have a driving range of around 700km. We think this will be the ultimate eco-car. The new Auris was revealed at the motor show in Paris. What was the initial reaction? Reaction has been very positive. The night before the first press day we organised an exclusive preview for top fleet customers. We saw that these decision-makers appreciated the more dynamic exterior of the car. And with the new Auris, thanks to a smarter packaging, there is no compromise needed anymore on boot space for the hybrid version. On top of this, our guests were very pleased to preview a brand new variant, the Auris Touring Sports, which represents an even better way to deliver dynamic design in a versatile product. During this preview event, we also gave guests the opportunity to drive some of the newest Toyota hybrid vehicles, as we know that, on top of meeting all the rational financial and environmental arguments, fleet operators will only be convinced of a vehicle if it also offers employees motivational benefits. So, putting them behind the steering wheel is the best way to convince them of the stress-free driving experience that comes with our hybrid range. 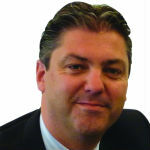 Johan Verbois, head of fleet and network at Toyota Motor Europe. Toyota and Lexus have together sold more than 460,000 hybrid vehicles in Europe.